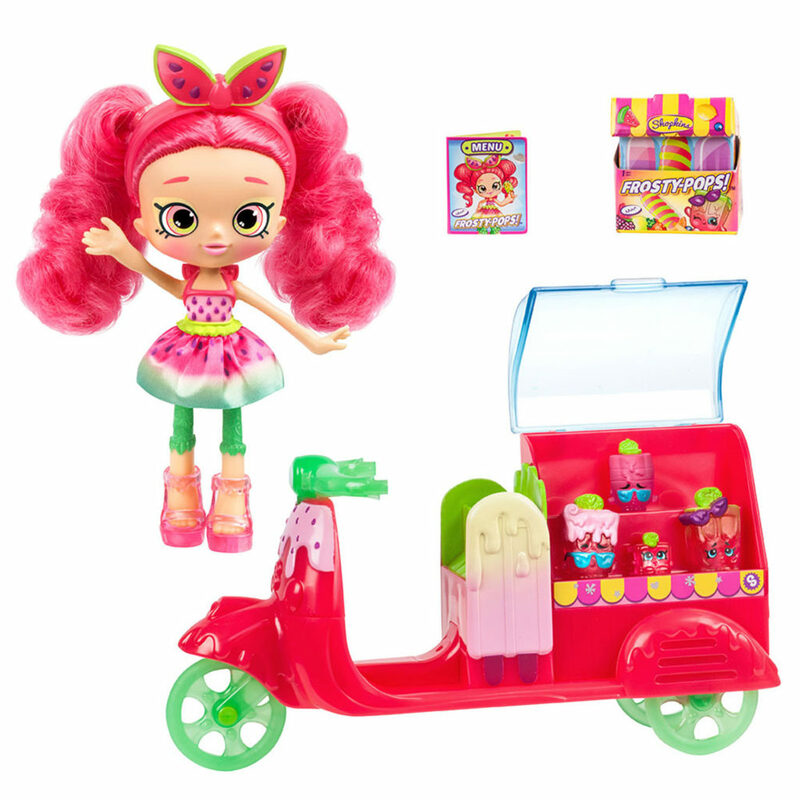 Pippa Melon is ready to roll out on her fruity scooter with some frosty friends! 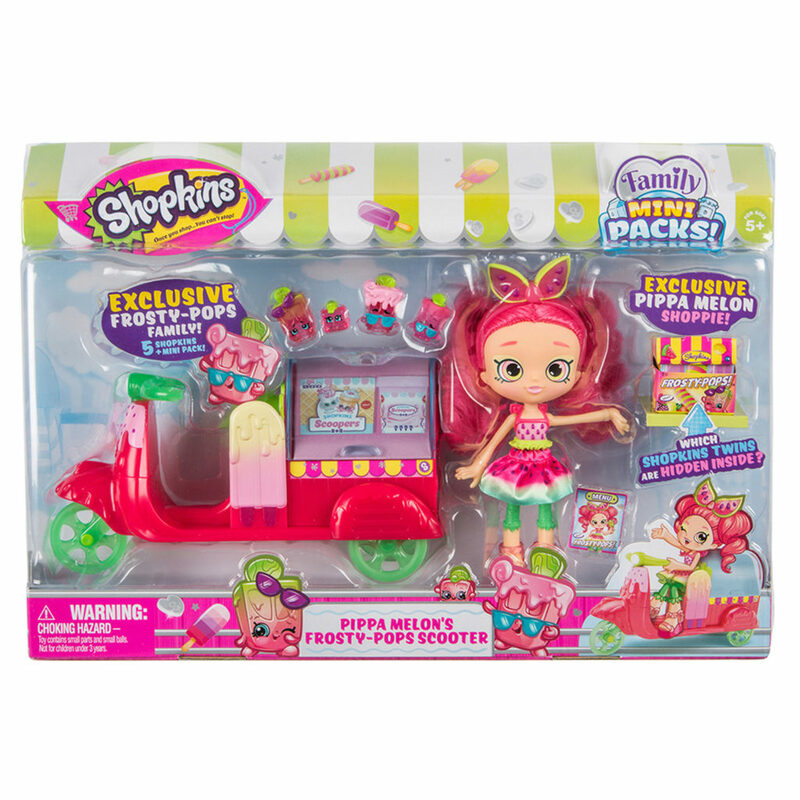 She treats all her Shopkins like they were family… because they are! - Meet the Frosty-Pops! They always look chilled because coolness runs in their family! Inside the Family Mini Pack is a set of Frosty-Pops twins waiting to say hello. Which set with you get? Meet Pippa Melon. 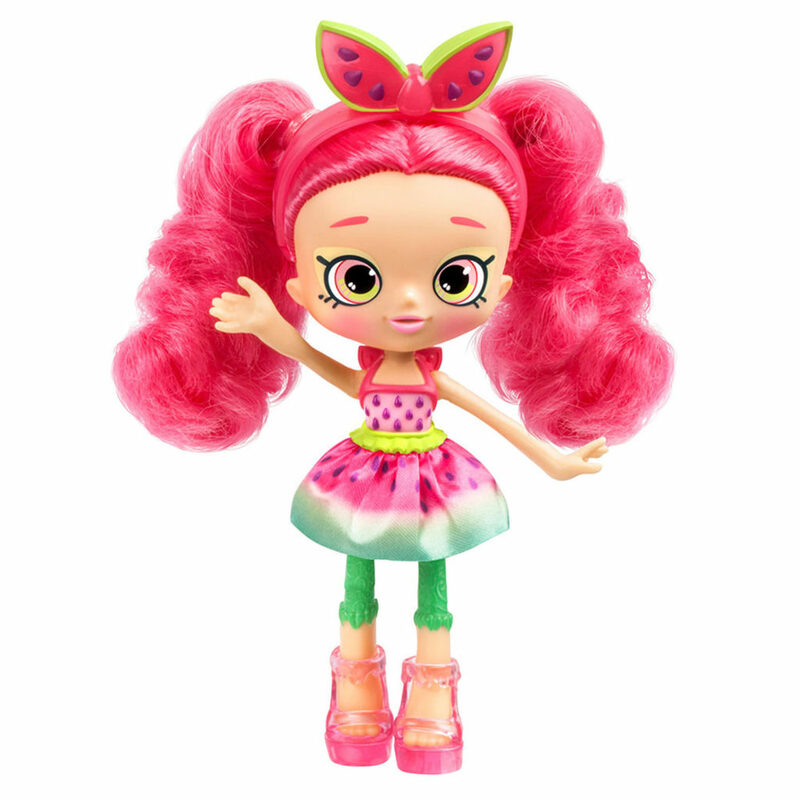 As warm as a Summer days, it’s always refreshing to meet someone as cool as Pippa Melon. Always natural and easygoing, she’s never upset by what others say – You could say she’s very thick skinned! This girl has big dreams when it come to gardening! 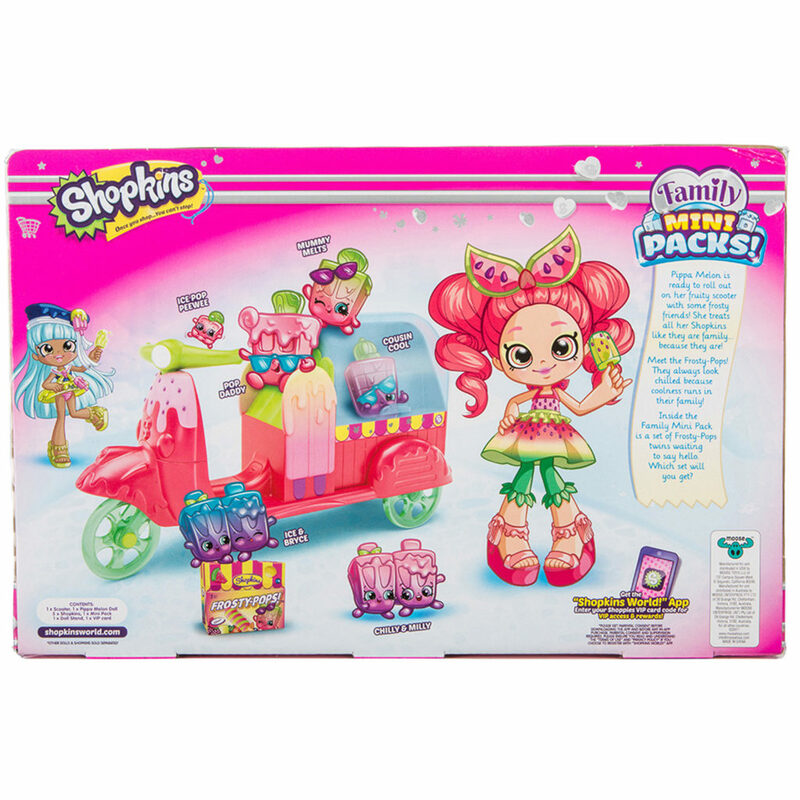 Pippa Melon's Frosty Pops Scooter also comes with 1 Scooter, 1 Pippa Melon Doll, 5 Shopkins, 1 Mini Pack, 1 Dolls Stand, a Shoppies VIP card containing a code to unlock VIP access and Rewards in the Shopkins World app!